Founded by the Holy Roman Emperor in 1232, Altamura Cathedral is a Late Romanesque-Early Gothic edifice with the most intricately carved portal in Puglia. Altamura Cathedral was founded by Emperor Frederick II of Swabia in 1232. It is one of the four Palatine cathedrals of Puglia (the others are San Nicola in Bari, Barletta Cathedral, and Acquaviva Cathedral). It was renovated by Robert of Anjou after partial destruction in the earthquake of 1316 and the celebrated main portal was added in the 14th or 15th century. Major changes were made to the cathedral in 1534, including switching the front and back around! The cathedral's main facade originally faced west (like most cathedrals), but it now faces east. The interior was redecorated in the 19th century. Altamura Cathedral has a unique and striking appearance thanks to its variety of artistic influences and major changes in the 16th century. Its overall heaviness and austerity reflects its Late Romanesque origins under Frederick II and the twin towers of the facade are reminiscent of the medieval cathedrals of Germany. The rose window, on the other hand, is typically Puglian. The carved main portal is exuberantly Gothic but in a unique local style. The "west" facade (which faces east) was originally the apse, and evidence of the reshuffling can clearly be seen in the architecture. The original Gothic window of the apse, which had been in place since the original construction in 1232, was moved to the left side to make room for the rose window. The lions, elephants and griffins that jut out from the window and nearby on the facade are typically Puglian. Also on the left facade are three coats of arms; the largest is that of Emperor Charles V (1519-56). The main facade is large, flat, and mostly plain. It is dominated by a large rose window in the center and a portal with small porch below (see below for details). The flanking towers of the facade date from the 16th century rearrangement; the Baroque pinnacles were added in 1729. The north side of the cathedral has not been changed since its construction in the 13th century. Large blind arches are pierced by slender Gothic windows, and above runs a elegant triforium. The third arch contains a deep niche with the Porta Angioina, named for the coat of arms of Robert of Anjou (1309-43) that appear along with a dedicatory inscription above the door. Higher up is a bas-relief panel of a smiling St. Michael the Archangel standing on the dragon. The north transept dates from the 16th century but incorporates a Gothic window from the original facade. The portal centers on a tympanum featuring a beautiful Virgin and Child flanked by two kneeling angels. In contrast to the rest of the portal, this part is spacious and serene. The lintel below is occupied by a fascinating depiction of the Last Supper with the Twelve Disciples. The long rectangular table is spread with loaves of bread, pairs of fish, and baskets. Instead of his usual position in the center, Christ is seated on the far left, where he is being embraced and kissed on the cheek by a short-haired, beardless figure. This is probably a variation on the common theme of John, "the beloved disciple," reclining on his breast as they dined. Alternatively, although the setting is wrong and the gesture seems too tender, it could represent the Kiss of Judas (which took place outside in the the garden according to the Gospels). The interior of Altamura Cathedral dates from the early 13th century but is overlaid by mostly 19th-century decorations. It has a basilica floor plan with three aisles of seven bays and interesting carved capitals in the nave and triforium. The choir stalls, bishop's throne and pulpit all date from the mid-16th century. Also dating from the 16th century is an interesting nativity scene commissioned in 1587, consisting of 10 painted stone figures set in a local Puglian cave, complete with stalagmites and stalactites. Personal visit (April 5, 2008). 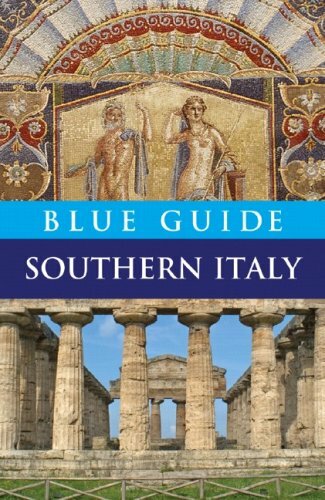 Paul Blanchard, Blue Guide Southern Italy, 11th ed. (London: Blue Guides Limited, 2007), 462-63. Arthur Lincoln Frothingham, "Gothic in Italy." A History of Architecture, Vol. 3, (Baker & Taylor Company, 1915), 275. Online at Google Books. Front Cover Paula Hardy, Abigail Hole, Olivia Pozzan, Lonely Planet Puglia & Basilicata (2008), 82. Below is a location map and aerial view of Altamura Cathedral. Using the buttons on the left (or the wheel on your mouse), you can zoom in for a closer look, or zoom out to get your bearings. To move around, click and drag the map with your mouse.